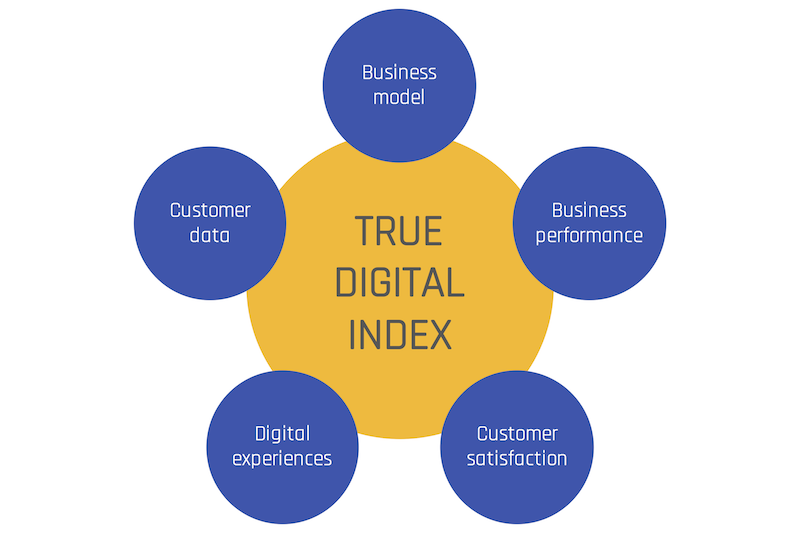 True Digital Index is an actionable and benchmarkable comprehensive measure of digital maturity and effectiveness for a business. 100 is the score given to a fully digital business using digital to its greatest potential. 0 is the score given to a business that is not using digital at all or it has net negative impact on the business. All businesses are somewhere on this scale of 0-100. There are currently 40 individual data points that are used across these five categories to determine the True Digital Index for a business. New data points and criteria for scoring will emerge over time as digital continues to be rewritten. Businesses that don’t move forward quickly enough will see their score fall over time. Get your True Digital Index with our digital audit. What's in the digital audit?